In the past, even without the right to vote abroad, expat Salvadorans played an influential role in the social, political, and economic life of El Salvador, especially since the signing of the Peace Accords in 1992. The agreement transformed a decade long armed struggle into a political contest between the FMLN and the right wing Republican Nationalist Alliance (ARENA) parties. After two decades of rightist rule by ARENA, a growing movement for change, called el cambio, gripped El Salvador and inspired a significant part of the diaspora. The 2008-2009 campaign for president re-energized progressive transnational Salvadorans to play an even larger role in electoral politics. For example, a pro-FMLN gathering held at a mall in a Langley Park, just outside of Washington, D.C. drew an unprecedented crowd of hundreds of Salvadorans; expats also met in homes and restaurants in a number of metropolitan areas to discuss and support their favorite candidates. 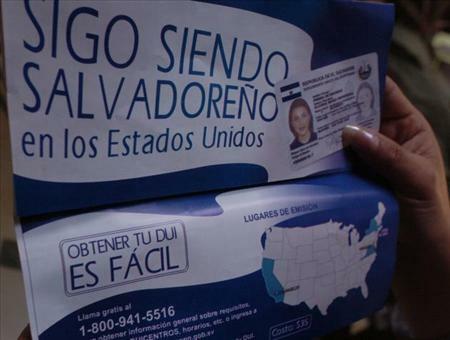 Furthermore, some Salvadorans returned to the Central American motherland to vote or to serve as poll watchers. There was no containing the enthusiasm and love of country. This activism undoubtedly influenced friends and families back in El Salvador who could vote in what turn out to be a very close race. 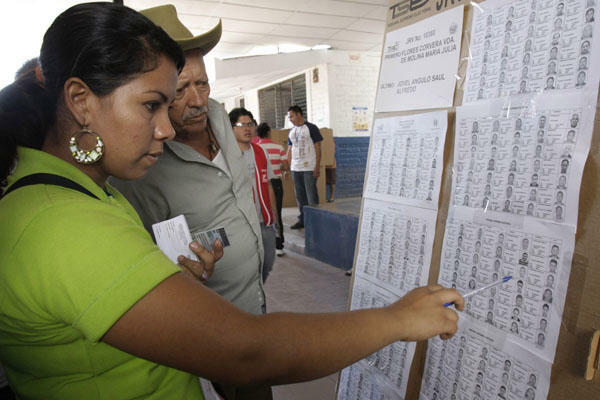 A brief look at the demographics involved and the election results of the 2009 presidential election reveals the significant geopolitical potential of the transnational Salvadoran vote. In the presidential election of 2009, FMLN candidate Mauricio Funes won by a 3 percent margin (about 70,000 votes, and the 2014 race may also be a close one. In the U.S. alone there are more than 1.8 million Salvadoran residents. 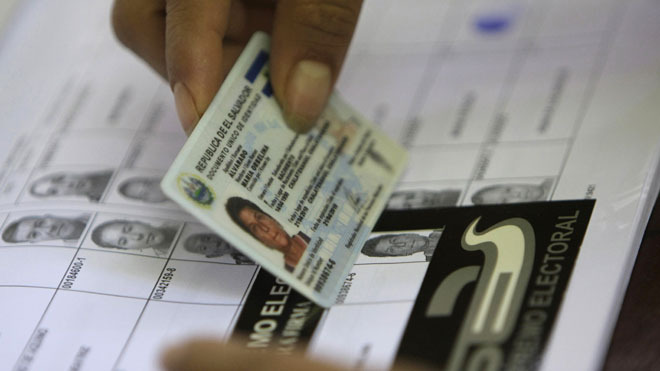 Of this number, about 150,000 people are expected to vote, if the mechanisms for registration are funded and put in place on time for the February 2014 presidential election. As more Salvadorans sign up for future elections, the political clout of the diaspora is likely to grow. States with the largest share of Salvadoran immigrants: California (573,956), Texas (222,599), New York (152,130), and the D.C. Metropolitan Area (240,000) are now indispensible stops for the ARENA, FMLN, and UNIDAD party campaigns, all of which have already sent party emissaries to the U.S. to reach out to potential supporters. Though dealing with compatriots as well as old friends, the emissaries have to understand and connect with key figures of the diaspora. Salvadoran transnationalism has evolved out of the trauma of civil war, the stress of undocumented status in the U.S., and the struggle for a dignified life in the their new locations of settlement. Although there was some limited Salvadoran immigration to the U.S. at the turn of the last century and during the 1960s, it was the civil war in El Salvador, starting in 1979 and ending in 1992, which drove thousands of Salvadorans to seek refuge in the United States, Canada, Guatemala, and other countries. In the 1980s, a number of Salvadoran refugees operating out of the U.S., –often in collaboration with North American volunteers– formed organizations that offered legal, health and material assistance to compatriots, most of whom arrived with little or no resources and were often arbitrarily subject to deportation. For example, in the D.C. area, the Central American Refugee Center (CARECEN), founded by two attorneys, one Salvadoran (Joaquin Dominguez) and one North American (Patrice Perillie), has been providing legal assistance since 1981. Other organizations formed to express solidarity with the progressive forces in El Salvador. 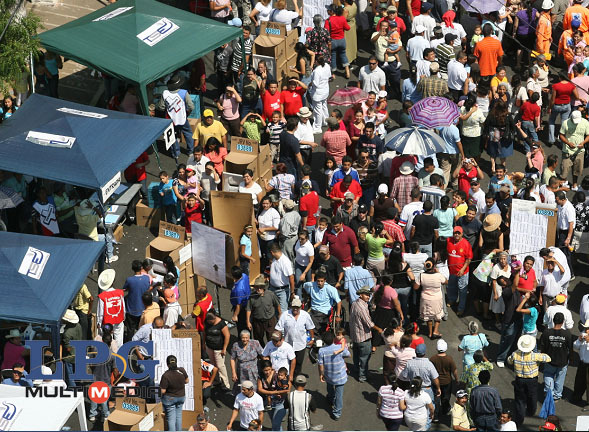 For instance, the Citizens in Solidarity with the People of El Salvador (CISPES) has been advocating for democracy and social justice in El Salvador for more than thirty years. In the early1980s, some of the more politicized exiles formed solidarity groups, such as the Casa Farabundo Marti and Casa El Salvador, which supported the leftist FMLN-FDR opposition in El Salvador. Operating on the sideline and beginning after their founding in 1975, U.S. civic acting groups like the Council on Hemispheric Affairs (COHA) and the Washington office on Latin America (WOLA) pledged a large role in advocacy, justice and rights, for the Salvadoran cause, both in El Salvador and in the U.S. While the first wave of Salvadoran refugees established support networks and institutions that continue to assist immigrants, of the estimated 1.8 million Salvadorans, residing in the U.S. today, about two-thirds arrived after 1990. When the war ended in 1992, the expats began to focus a bit less on politics in El Salvador and more on immigrant and labor rights in the U.S.  During this period, there was a great deal of diaspora-inspired art, poetry and literature produced to reflect the experience of emigration and homecoming. Salvadoran writer and painter Mario Bencastro, singer and musician Lilo Gonzalez, and actor and poet Quique Aviles were part of this artistic culture. This inward turn did not put a damper on the huge annual remittances of Salvadorans to the homeland, which topped $3.6 billion USD in 2010. Nor did the re-focus on life in the U.S. slow the informal flow of commodities back and forth between the two countries. Salvadoran businessmen in the U.S. started to make investments and buy real estate in El Salvador. Today, some Salvadorans contemplate returning home, should the security situation improve, to provide for their retirement. Investors in El Salvador have also been setting up business in the U.S., especially in the service and financial sectors. As more expats were able to travel and still return to the U.S., family reunification and reconnection with the homeland began to accelerate. Today cyberspace and social media has created a virtual transnational community that transcends geographic boundaries. There is, of course, a thriving diasporic Salvadoran political culture. This culture is generally independent from official party organs and from the easy reach of the influence-trading that sometimes compromises moral judgment. This autonomy is recognized by compatriots in El Salvador, and it gives the views of the diaspora some special weight. The dialectic between transnationalism and electoral politics within the homeland is now in an accelerating phase of its development. And both the presidential campaigns and leaders in the expat community are keenly aware of this. There are currently two main parties, ARENA and the FMLN, in the country and one coalition, UNIDAD, vying for the race for the presidency. The basic outlines of their electoral strategies already have emerged as the candidates position themselves in the arena of ideas. The right wing parties, interestingly, are no longer banking on anti-communism or even anti-socialism to garner votes; it seems bashing social programs, championing privatization, and even hinting at austerity are now considered fatal to any party platform. The ARENA party is running Norman Quijano, the current Mayor of San Salvador, as its presidential candidate, and Rene Portillo Cuadro, the current President of the Technological University, as vice president. Quijano made the almost disastrous initial misstep of criticizing the school lunch and uniform program (paquete escolar) in August 2012,  but after attaining a modicum of political enlightenment, is now ready to “expand and make social programs more efficient.”  To be sure, ARENA still flies the banner of fiscal restraint and the virtues of free markets. But, its strategists are surely taking into account recent polls showing an erosion of support in poor rural areas, which have traditionally been ARENA strongholds. The poor do not forget who directed more of the countries resources their way. Also, Quijano’s reputation as the law and order mayor of San Salvador suffered a blow at the end of October 2012, when the metropolitan police forcibly removed thousands of street vendors from their humble posts. The action was legal but very controversial. There is also a great unknown, perhaps even a trump card sitting in the presidential palace. It is far from a given that President Funes will continue to support the party that brought him to power. It is important to note that the Friends of Funes, who were not generally party members but supported a social democratic and business friendly agenda were crucial to the margin of victory in 2009. Presently all three presidential tickets—ARENA, UNIDAD, and FMLN—have been sending out their researchers and field organizers to transnational hubs in the U.S., where there have been politically active Salvadoran communities for more than three decades. Credible sources also report that this month ARENA presidential candidate, Norman Quijano, and FMLN vice presidential candidate, Oscar Ortiz, will be visiting the U.S. to rally support for their respective campaigns. Although ARENA has never developed any significant organized popular political support base in Salvadorian communities in the U.S., it has the financial resources to facilitate the development of politically oriented organizations. UNIDAD so far has little or no organized foothold outside of El Salvador, though Saca himself definitely has name recognition. A number of politicians, who are looking to form new coalitions, are now jockeying for position, and remain, for now, an unknown variable; though, they may become increasingly important should there be a run off election. We are progressive people who aspire to contribute to the construction of a better El Salvador, in justice, and we are committed to addressing the urgent needs suffered by the majority of Salvadorans. In the coming weeks, one might be able to witness Salvadoran transnationalism “make a real difference,” indeed. Note: Institutions listed for identification purposes only. The opinions expressed here are the author’s. Desde los Estados Unidos de Norte América les expresamos nuestro sincero y solidario saludo. Hacemos del conocimiento público que los integrantes del Movimiento Óscar Ortiz Para Presidente, que impulsamos en 2012, hemos dado un paso hacia adelante al integrar una nueva iniciativa cuyo nombre es RED NACIONAL SALVADOREÑA EN EL EXTERIOR, y cuyas siglas se leen RENASE. Somos una red integrada por jóvenes y adultos, mujeres y hombres con diferentes oficios y profesiones, quienes sentimos un amor profundo por nuestra patria de origen, para la cual deseamos lo mejor. Somos gente progresista que aspiramos a contribuir en la construcción de un mejor El Salvador, en justicia y comprometidos a resolver las grandes necesidades que sufre la mayoría de salvadoreños. Hemos seguido con mucha atención el acontecer político e histórico que el país ha venido tomando. Nos causó una profunda alegría el primer éxito electoral de la izquierda encabezada por el Frente Farabundo Martí para la Liberación Nacional (FMLN) en 2009, al conseguir que su candidato, el Lic. Mauricio Funes Cartagena, se convirtiera en Presidente de la República. Esto marcó sin duda un cambio importante en la vida del país. Más relevante aún han sido el conjunto de transformaciones sociales y económicas que el gobierno del FMLN ha puesto en marcha y que tienen como eje central resolver los graves problemas que afectan de manera particular a los sectores sociales más pobres del país. El año 2013 ha iniciado con un dinamismo político que ya nos puso en la ruta electoral del 2014, a la que hemos decidido incorporarnos de manera activa. Es por eso que después de reflexionar, hemos decidido dar nuestro respaldo total a la fórmula presidencial propuesta por el FMLN: el Profesor Salvador Sánchez Cerén como candidato a la Presidencia y el Lic. Óscar Ortiz como candidato a la Vicepresidencia. Nuestra apuesta se basa en la necesidad de que el actual proceso de cambios continué, se profundice y no pierda de vista que los beneficiarios principales de dichos cambios tienen que ser los sectores sociales más necesitados. Además, consideramos que las trayectorias políticas personales de Salvador y Óscar son ampliamente conocidas como precursoras de las luchas del pueblo salvadoreño y gestoras del conjunto de cambios progresistas que el país viene dando, especialmente después de los Acuerdos de Paz, de los que, por cierto, Salvador Sánchez Cerén es firmante. Al hacer nuestra opción también hemos considerado la definición de las candidaturas de la derecha, representadas por ARENA y por el movimiento UNIDAD, en el que se agrupan los partidos GANA, PES y PCN. Creemos que al analizar a sus candidatos, solamente le están ofreciendo al pueblo salvadoreño regresar a un pasado oscuro, marcado por el favorecimiento a los círculos pudientes a través de sus posiciones en el poder. Todos conocemos las actuaciones como diputado del Dr. Norman Quijano, votando por privatizaciones, dolarización y siempre muy contrario a los proyectos del Dr. Héctor Silva cuando este era alcalde de San Salvador. Imposible olvidar la gestión presidencial de Tony Saca, mencionada por varios casos de corrupción, obras inconclusas, importantes cantidades de dinero gastados en publicidad, entre otras cosas. Estas son las dos cartas con las que la derecha pretende regresar al poder. Creemos que El Salvador está frente a un importante momento histórico. Por un lado, tenemos la opción de regresar al pasado, con gobernantes al servicio de los que ya lo tienen todo, y por otro tenemos la posibilidad de apostarle a la fórmula Salvador-Óscar, que nos ofrece continuar con el proceso de cambios que ya ha iniciado el Presidente Funes, en cuyo mandato se ha invertido en obras sociales como nunca antes en la historia de El Salvador, algo palpable con proyectos de impacto, como Ciudad Mujer, el Vaso de Leche, los uniformes gratis, y la construcción de obras públicas en zonas donde realmente se necesitan, entre otros. Para despedirnos, queremos reconocer que esta administración se interesó de manera genuina en convertir el voto en el exterior en ley y en permitirnos obtener nuestro Documento Único de Identidad en el extranjero, algo que nos llena de mucho entusiasmo. Nunca antes otro gobierno dio muestras de inclusión verdadera a los que vivimos en el exterior, lejos de nuestros seres queridos. Es por eso que deseamos que este proyecto continúe, y la única fórmula que nos ofrece eso es la de Salvador y Óscar. Solo con ellos podremos buscar la solución de los problemas del país teniendo como centro a los más necesitados. Área Metropolitana de Washington (MD. VA. WDC): José Delgado, Nancy Delgado, Félix Rodríguez, José González, Mario Rivera, José H. Fuentes, Araceli Moreno, Evelyn González, Daniel Joya, William Jaochin, Maribel Fuentes, Francisco Roque, Francisco Pacheco, Santos Ramírez, Lino Martínez , Miguel Carranza, Tomas Zavala, Damaris Martínez, Cecilia Murcia de Martínez, José González, Berta González, Marlenis Chávez Berríos, Alex Martínez, Rafael Alfaro, Alcira Colon, Marcial Candido, Stephanie Mischell, Camila Salvo Louis, Griselda de Fuentes, Estefany Fuentes, Debbie Fuentes, Julio Menjivar, Blanca Menjivar, Marilu Guardado, Ernesto Guardado, Illinois: Julio Flores. Massachusetts: Enilda Lobos, David Rolando Oliva. San Francisco área de la bahía, California: Ana Huguet, Gloria Canas, Mirna Medina, José Ascencio, Gilma Cruz, José Mejia, Ana G Miranda, Walter Huguet, Jorge Rivera, Luisa Monge, Victor H.Medrano, Emilio Colocho, José Landaverde, José Cartagena. Los Ángeles California: Jaime Penate, Mario Hércules, Omar Corleto, Angélica Perla, Pablo Alvarado, Houston Texas: Teodoro Aguiluz, Francisco Deraz, Edilson Reyes, Tomas Duran Guerrero, José David Hernández, Carlos Urbina, Long Island, New York: Carlos Canales, Nubia López, Juan Escobar, Joel Pineda, Simeón Yánez, Saúl Linares, New York City: Guillermo Chacon, Charlotte, Carolina del Norte: Félix Herrera, Minnesota: Francisco Segovia, Oregón: Jesús Dolores Rivas (Lolo Cutumay), Florida: José Luis Soto, New Jersey: Ana Miriam Vásquez de Artiga, Jorge Alberto Alberto Artiga López. Strictly speaking, these residents are identified by the U.S. Census Bureau as Hispanics of Salvadoran origin, which means that they are either foreign born Salvadoran or trace their ancestry to Salvadoran immigrants. Full disclosure: the author participated in meetings of the conversatorio and the subsequent RENASE. The Hispanic Population: 2010. 2010 Census Briefs. U.S. Census Bureau. Issued May 2011, p. 8. The Census Bureau puts the total number of Salvadorans at 1,648,968 while the PEW center figure is 1.8 million. I have deferred to the larger PEW calculation. See Seth Motel and Eileen Patten, Research Assistants, Hispanics of Salvadoran Origin in the United States: 2010, , PEW, 2012. For Salvadoran origin population by U.S. metropolitan area see Mark Hugo Lopez and Daniel Dockterman, U.S. Hispanic Country of Origin Counts, Top 30 Metropolitan Areas, PEW, May 2011, http://www.pewhispanic.org/2011/05/26/us-hispanic-country-of-origin-counts-for-nation-top-30-metropolitan-areas/. The number for Maryland is 123,789. Migration and Remittances Fact Book 2011, Second Edition, The World Bank, 2011 (hereafter cited as Fact Book).The Fact Book also mentions Costa Rica, Australia, Belize, Spain, Italy, Mexico, Honduras as major receiving countries of Hispanics of Salvadoran origin. Also, see Patricia Landolt, Salvadoran Transnationalism: Towards the Redefinition of the National Community, Working paper #18, Department of Sociology, the Johns Hopkins University, Undated paper, part 3. Historical Patterns of Salvadoran Migration. Hereafter cited as Landolt. http://maxweber.hunter.cuny.edu/pub/eres/BLPR102_PIMENTEL/Salvadoran.html. I am indebted to Landolt’s work on this topic, section 5. on Political Transnationalism, but I have also relied on personal experience as a volunteer for Clinica del Pueblo and contact with some of the organizations named in this section during the period under discussion. Motel and Patten, p. 1. See Landolt, Part 5. on Political Transnationalism. Fact Book 2011, p. 39. Estimates are based on 2010 data. As Patricia Landolt aptly describes the informal commerce, it included: “the endless flood of new and used products–radios, telephones, clothing, televisions, vehicles, heavy machinery, machine parts, tools, computers, fax machines, bicycles, videos, running shoes, etc.–valued in the millions of dollars, that pours into El Salvador on a daily basis. The flow from El Salvador to the United States is equally lively and includes Salvadoran edibles (cheese, Pollo Campero, tropical fruits, turtle eggs, tamales, tortillas, sweets, beer, etc..), medication for which a prescription is required in the United States, artesanal products, machetes, clothing and undergarments, etc.. This northbound flow of gastronomic and cultural nostalgia makes its way into the homes of Salvadoran families either directly or via the mom and pop stores found in every Salvadoran neighborhood in the United States. Used cars, sneakers, radios, cloths, and other consumer goods flowed south while pollo campero, dry cheese, and recuerdos continued to flowed north. “Landolt, Part 4. Economic Transnationalism. See Landolt Part 4. Fore a more detailed treatment of this issue. See Landolt, Part 5. on Political nationalism. The author’s translation of the original: “Coordinar y desarrollar el trabajo de las asociaciones de comunidades y promover el desarrollo de los Salvadoreños en EEUU y en El Salvador.” See the COTSA website at http://cotsa.org/main/. Interview by the author with Francisco Ramirez, March 9, 2013. I am indebted to Landolt’s interesting discussion of Salvadoran transnationalism as a dialectical process. All shortcomings are, of course, my own. http://www.lapagina.com.sv/entrevistas/76843/2013/01/24/Norman-Quijano-promete-continuar-con-los-programas-sociales-del-actual-gobierno. Summary of recent polling data by LGP Datos in El Faro, 3 Feb 2013, Sergio Arauz. http://www.elfaro.net/es/201301/noticias/10519/. On alledged misuse of funds by Tony Saca during his Presidency see Mary Anastasia O’Grady, WSJ, 7 Mar 2010. http://online.wsj.com/article/SB10001424052748703915204575103823901466194.html. For an article in the Salvadoran press on alleged misuse of funds by Tonay Saca see http://www.elsalvador.com/mwedh/nota/nota_completa.asp?idCat=6351&idArt=4311160. It is possible that Saca’s spending sprees was technically legal though ethically questionable. Unofficial translation of the author from: Salvador Sanchez Ceren, El Pais Que Quiero. 2014: Elecciones Presidenciales en El Salvador. Ocean Sur, 2012, pp. 41 -42. El Mundo, 3 Jan 2013. http://elmundo.com.sv/sanchez-ceren-dice-que-saca-es-plan-de-arena. Translation by the author of part of the following: Roberto Lorenzana, vocero del FMLN, dijo en la misma radio izquierdista que “la derecha” lleva un solo proyecto electoral para las presidenciales, pero que ese proyecto tiene dos caras: la candidatura de Quijano y la de Saca. “El FMLN se va a enfrentar a un solo proyecto con dos caras”, aseguró. El efemelenista afirmó que el discurso de “las extremas” es falso y que Saca pertenece a esas extremas. Amadeo Cabrera/Fernando Romero/Amílcar Mejía. 6 Mar 2013. http://www.laprensagrafica.com/quijano-y-saca-conformes-con-encuesta-lpg-datos. I am indebted here to the CISPES analysis: “The addition of the UNIDAD slate increases the likelihood for a second, run-off election between the top two winning presidential contenders in March 2014, given the difficulty for any slate to win the absolute majority of votes (50% + 1 vote) required to claim victory in the first round of elections.” See the complete version at http://www.cispes.org/blog/right-wing-defines-2014-presidential-slates/. This is the author’s unofficial translation of the “Pronunciamiento al Pueblo Salvadoreno,” March 2013, RENASE, U.S.A.
Is Paraguay Set to be the Next Latin American Country to Lean to the Left? June 29, 2007 COHA Comments Off on Is Paraguay Set to be the Next Latin American Country to Lean to the Left?